Even though your guests might not be arriving until twenty minutes before the ceremony, the day will begin for you and your partner much earlier. For me, wedding photography is about story-telling. 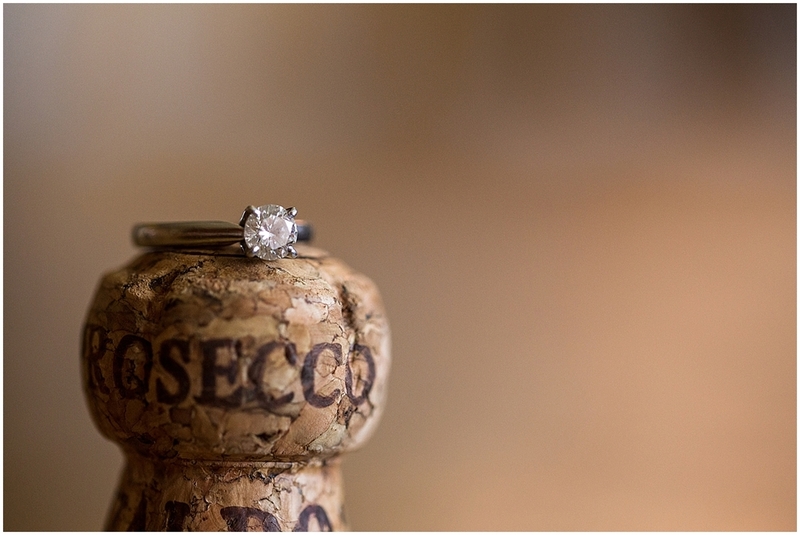 As a wedding photographer it is my job to tell the story of your day as it unfolds. And to tell people which side of their jacket their corsage should go (seriously – I get asked this at most weddings – men’s buttonholes on their left, ladies’ corsages on their right – just so you know). But mostly it’s about documenting your day through beautiful images, and your day starts early. Because of this, I always offer a full day service. It’s also partly because I can’t stand to miss out on things! This gives me and my second photographer a chance to capture something of the preparation that goes on during the morning of the wedding, and record all of the details that you have been working on for the past few months! So, here are 7 of the ‘must have’ photos from the morning of a typical wedding. They are by no means the only photos that I take during the morning, (at a standard wedding where the couple will receive around 600 images in total, I usually deliver somewhere between 100 – 150 photos from before the ceremony!) but they will give you an idea of what your photographer might be doing and the things that he or she will need access to whilst you’re getting ready to be wed! You spent hours, days, weeks dreaming about it and agonising over your choice. So it’s important that your wedding photographer documents it for you. 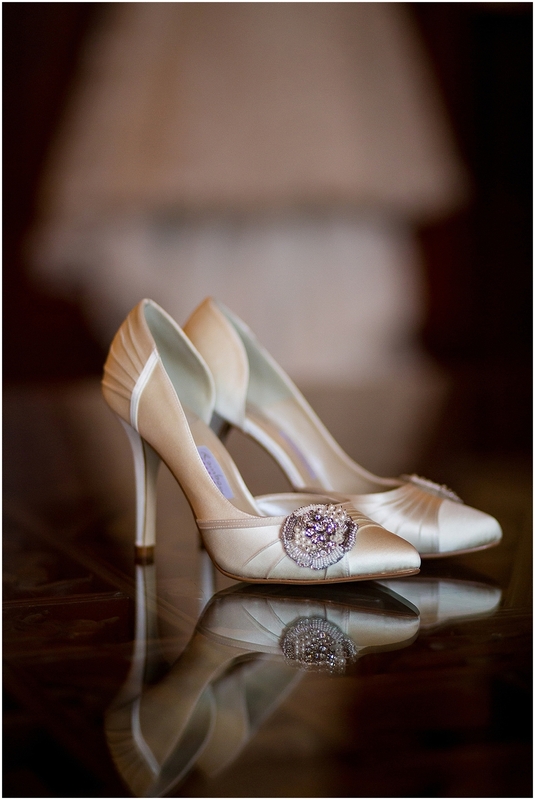 Similarly your wedding shoes will have been chosen to complement and complete your look. 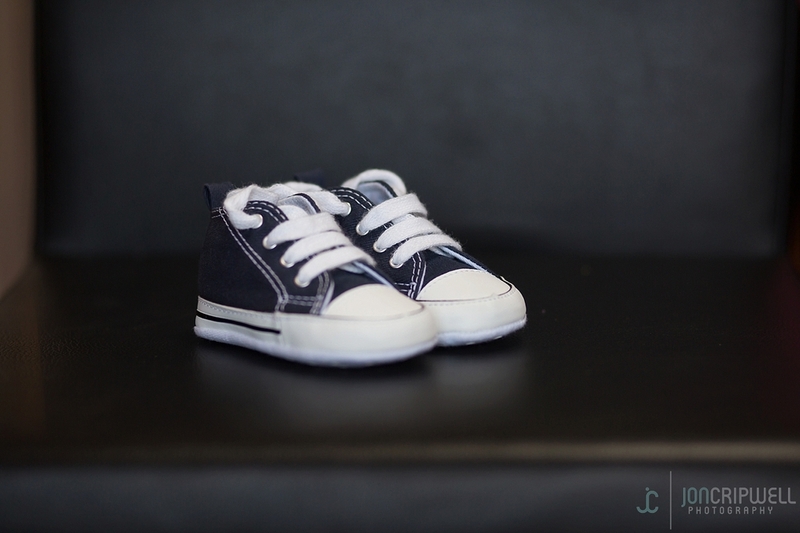 Whether you’ve gone for Jimmy Choos or George’s finest, you’ll want to remember what they looked like before your wedding photographer dragged you across muddy fields and asked you to climb trees in them. Only joking… probably! Bracelets, necklaces, earrings, garters, perfume, tiaras and of course your bouquet – there are so many details and you’ll want to remember them all. It’s going to take up a fair chunk of your morning, so no story of your day would be complete without a shot or two of you being pampered! Tip: Good wedding photographers will usually wait until the finishing touches are being applied to your hair and makeup before getting the shots. Just so that you’re looking your very best! Whether it’s from Dad, Mum, your bridesmaids or the dog, you’re going to want your photographer to capture their reaction from the moment they first see you ready for your wedding. 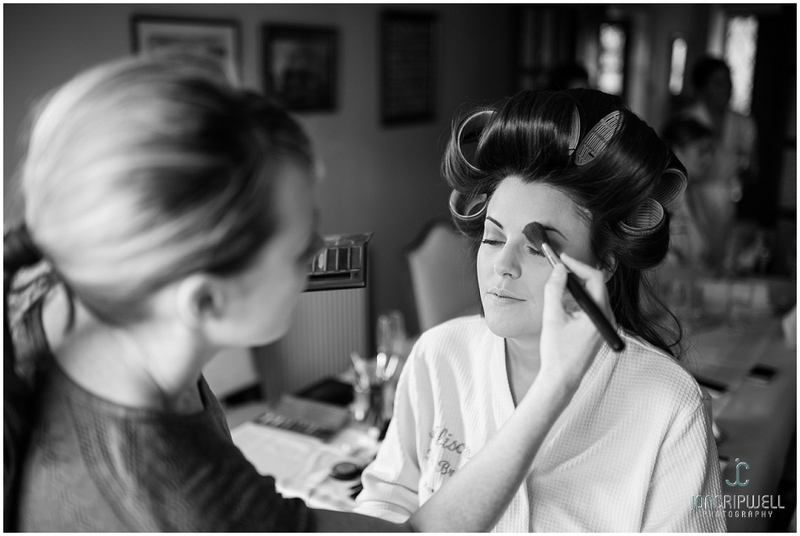 One of the benefits of both of you getting ready at the same venue, or of having a second photographer as part of your coverage (cough, cough – something I offer as standard…) is that as well as photographs of the bride you can also get some photos of the boys! Dress. Hair and makeup. Jewellery. Bouquet. You’re ready to go. 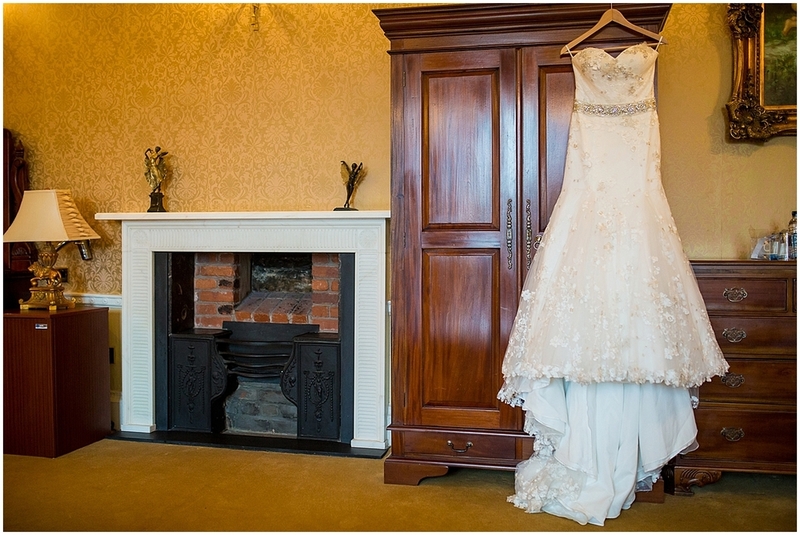 But before you do, make sure you get one or two bridal portraits – you’re last portraits before you become a Mrs! How To Pose For Wedding Photos – Five Top Tips!